Prune in winter to remove any dead or overcrowded branches and to shape if required. Most varieties need at least one other pear tree in the neighbourhood to get good pollination. Healthy pear trees will bear for decades. 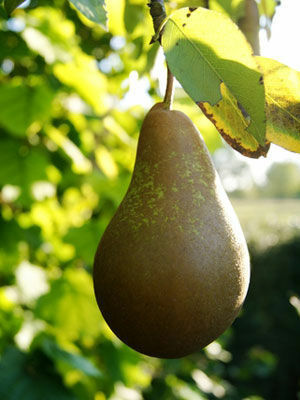 Large pears can require up to 10m spacing. This can be less depending on variety and pruning method.